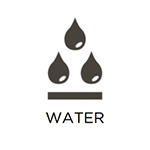 The main disaster restoration and cleaning services that we provide include water damage restoration, fire damage restoration, smoke and odor removal, mold remediation, post construction cleaning, content cleaning and pack-outs, hoarding cleaning, and biohazard cleaning. We use only the best cleaning products and equipment available and we are dedicated to completely restoring your home or business as well as your peace of mind. We are available 24 hours a day at (719) 373-6777 to respond to emergencies in Colorado Springs, CO and the surrounding area. 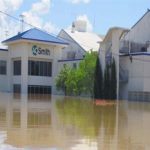 Water damage can occur from a multitude of sources such as heavy rains, flooding, burst pipes and leaks and it is important to begin water damage restoration immediately to limit to spread of the damage. RestorationMaster provides water damage restoration services to Colorado Springs, CO to clean up and restore damage caused by excess water. We use specialized cleaning equipment to remove excess water from your home before restoring it to its original condition. 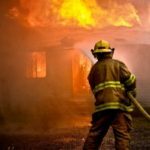 Fires are very destructive to homes and buildings and the synthetic materials of many household items release dangerous chemicals after they are burned. Corrosive byproducts can also cause the damage to become permanent which is why it is important to call for fire damage restoration services as soon as the fire is put out. 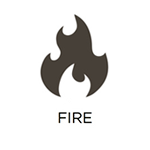 RestorationMaster provides fire damage cleanup and restoration services to Colorado Springs. Our trained staff can restore the furnishings and structural elements of your home that have been damaged by fire to their original condition. Usually after a home or building has sustained fire damage, there is soot and a strong odor left behind from the smoke. RestorationMaster provides smoke cleanup and odor removal services for homes and businesses in Colorado Springs. Our technicians can remove soot from many household surfaces and remove the odor completely from the furnishings and structural elements of your home. 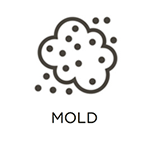 The presence of mold in a home or building can be a serious problem and it usually occurs as a result of water damage. 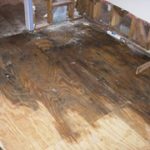 RestorationMaster provides mold remediation services to Colorado Springs to completely remove mold and repair or replace the surfaces it has damaged. It is important to have mold removed from your house as soon as it is discovered because it could lead to a range of adverse health problems. Construction projects involve a lot of intense work and when the job is finished, the area is still left in some degree of disrepair. Excessive dust and debris including screws, sheet rock, and other building materials make the area hazardous and must be removed to make the area usable again. 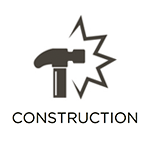 RestorationMaster provides post construction cleaning services in Colorado Springs, CO to clean up a job site after the construction is complete. We will remove all dust and debris and restore the area according to all codes and insurance requirements. Dealing with the death or major injury of a loved one is very difficult, especially if it occurred on your property. These scenes are as dangerous as they are disturbing to encounter as they often contain biohazard materials such as blood and bodily fluids that can spread disease. It is best to immediately call law enforcement to respond to the scene, as well as a professional that is licensed to safely clean up the scene. 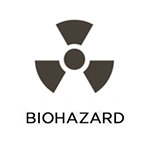 RestorationMaster provides biohazard cleaning services in Colorado Springs, CO to remove biohazard materials and safely clean and sanitize the area. We work with a sense of respect and compassion to help ease the burden of those grieving a loss and we will ensure that the area is restored to its original condition. Many disasters that cause damage in a home often have a wide ranging effect as they are likely to damage structural elements, furnishings, and your personal belongings. Most personal items are vulnerable to damage from fire, smoke, mold, or water and the damage can become permanent if the affected items are not quickly cleaned and restored. RestorationMaster provides content cleaning and restoration services to clean and restore all types of damaged objects in Colorado Springs, CO. We are prepared to fully clean and restore your content on-site or pack-out your items to take to our facility if your home is in an unsafe condition.